The Lean Startup Methodology has caused quite a stir in the startup community. Here we give you an idea of what it’s all about to put you on the track to “thinking lean”. Eric Ries’ book the “Lean Startup Methodology” sought to look at how these principles might be used by startups. Why would startups be any different? Traditional companies operate in mature industries where demand and competition are relatively stable and predictable. Thinking lean for the traditional company involves looking at how current processes and activities can be improved. The hallmark of a startup’s environment, in contrast, is that of extreme uncertainty: the product, the competition and the demand are unknown. Thinking lean for the startup, therefore, involves ascertaining what processes and activities should be undertaken in the first place. This high level of uncertainty means that startups need to make the best possible guesses as to what kind of product and market to target, thus minimising the chances of producing waste. Lean startups should think of these guesses as hypotheses; ideas about the outside world based on a set of assumptions that have been made. 1. Make these assumptions testable and tangible, not abstract. 2. Know which of your assumptions are the most uncertain, and test these risky assumptions first. The job of a startup is to learn how to grow a business, and a lean startup will go about this in a pragmatic and scientific way. Nightmare waste scenario: you had a great idea for a product and built it well, only to launch it to find out it no one will buy it. This happens more often than it should, and sometimes even great products flop because of bad timing or bad market fit. 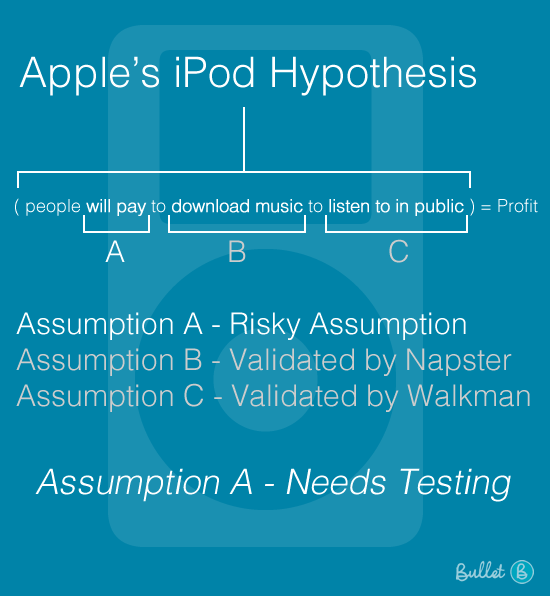 Lean solution: release a prototype as soon as possible, and use it to test assumptions. 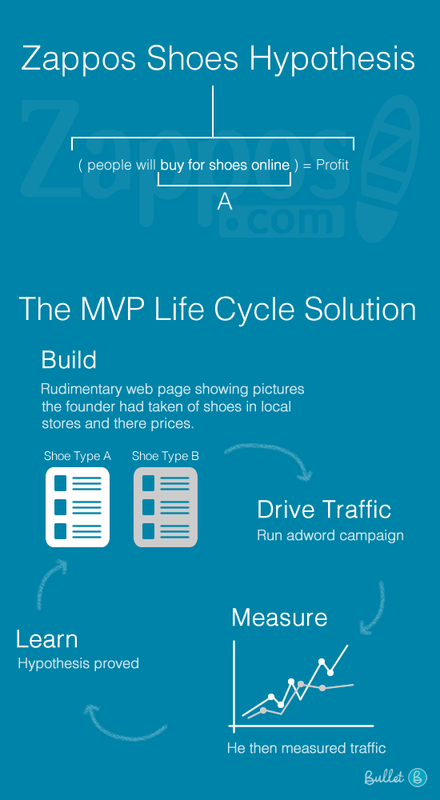 An important part of the lean startup methodology is the “Measure” step of the Build-Measure-Learn cycle. In terms of product testing, Ries advocates “Split” or “A/B” testing as the leanest approach. This involves making multiple testable versions of a product so that any changes can be compared to a baseline. In terms of metrics, Ries advocates avoiding “vanity metrics”. A lean startup will avoid gimmicky pat-on-the-back metrics that don’t tell you enough about how well your doing. Any metrics used must be “actionable, accessible and auditable”.The less, the better– irrelevant noise is waste! If your research suggests that your current idea isn’t going to work, it might be time to “pivot” your startup. This involves changing your business strategy to align with a new hypothesis of how to succeed. The vision remains the same, but the means to achieve it can change. There are many types of pivot: you could focus on a different customer need than before, you could zoom in on a current feature of your product that you’re underselling, you could change where you’re trying to sell your product… the choice is yours! Eric Ries started a movement with his Lean Startup Methodology, and any business can learn from it. First think lean, and think how you can make your business leaner. Second, see if any of the many tools used in the lean process could be of use to you.